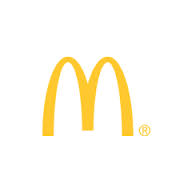 McDonald’s Corporation (NYSE:MCD) Japan has forecasted a net loss of up to $157 million ( ¥17B) this year, for the first time in 11 years. The expected loss has been attributed to the troubles the company has faced with a Chinese supplier; something that has had negative impact on the company’s sales and increased expenses. This is a huge difference from what the company registered last year when the company posted ¥5.14 billion in net profit. The company had also projected a ¥6 billion in net profit this year, but withdrew after things became clearer that achieving that kind of performance would be a tall order. McDonald’s Corporation (NYSE:MCD) got into a mix-up with a Chinese supplier, Shanghai Husi Food Co., over safety of their suppliers. Images aired on TV showed workers of the company picking food from the floor, leading to a shutdown of the said facility. At the same time, information came out that the supplier was mixing meat that had already expired with fresh ones. The news about the anticipated loss was unveiled on Tuesday by McDonald’s Corporation (NYSE:MCD) chief executive Sarah Casanova. The company further revealed that the issue with the Chinese supplier is expected to result in ¥45 billion decline in sales this year, ending up reducing the company’s profit by a whole ¥11.6 billion. Even though the company stopped Shanghai Husi Food Co. from delivering any more supplies and looked for alternative sources, the sales still declined. August registered the worst, with same-store sales declining by as high as 25.1%. September saw some improvement, but the sales were still down 16.6%. Casanova was put to task and asked if she would step down as a result of the loss, but she said that she isn’t about to step down. She however said she will do everything to give the company a lifeline. The company has embarked on a process of sharing information on where foods are sourced from and processed to help beef customer confidence.